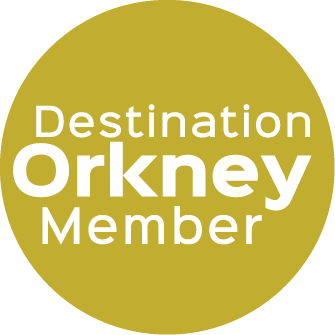 A warm welcome awaits you in our beautifully renovated Orkney farmhouse, with many original features. 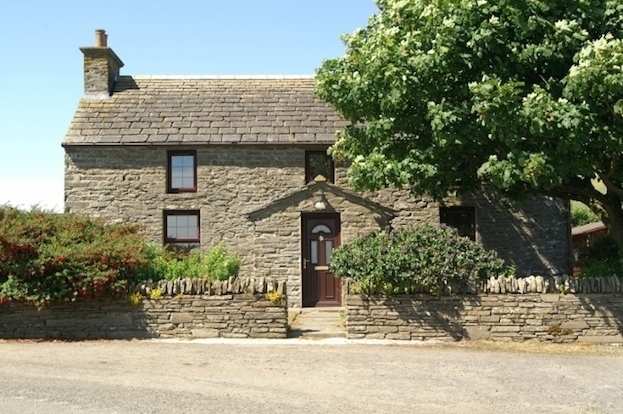 Ideally located for World Heritage Sites, fishing or bird watching. Excellent breakfast using our own produce. Private parking and secure storage for cycles, canoes etc. Our house was built in 1848. We purchased it in 1998 and since then it has been extensively restored. Retaining many original features including the Orkney stone roof, Flag stone floors and beamed ceilings. The wind turbines provide renewable energy which compliments the wood burning stove. Downstairs double bedroom with lovely sea view and private bathroom. Freeview TV and tea and coffee making facilities. Upstairs bedroom is accessed up a spiral staircase. It has a super king sized bed, pine panelled ceiling. It has a freeview TV and tea and coffee making facilities and a private shower room.